The 2017 Fall Product Program is approaching (October 2), and MyAsia, a Girl Scout Ambassador from Nantucket, has set the bar high for Girl Scouts across the council. So high, in fact, that this go-getter has been the GSEMA top seller for the past two years! MyAsia sold 275 units of product in 2015, and increased her sales to 360 in 2016! 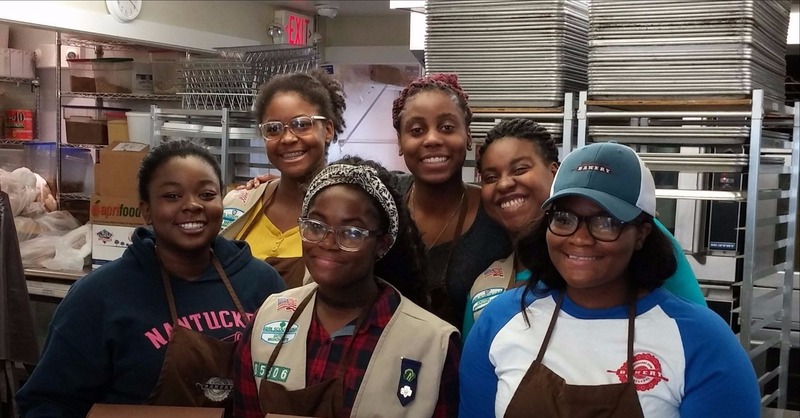 Her success selling candy, nuts, magazines, and more has enabled MyAsia to fund many Girl Scout adventures and experiences. She and her troop have visited Six Flags, gone on a Cape Cod getaway, attended a Celtics game, and more. They are now planning to go on a cruise! In addition, they have donated earnings to a women’s domestic violence and sexual assault shelter on Nantucket and participated in many breast cancer walks. MyAsia sees how she can apply the skills she’s learned throughout her life, “starting with applying for scholarships, and then in college.” She plans to pursue an education in forensic science. We are so proud of MyAsia, and are inspired by her entrepreneurial spirit. Interested in learning more about the Fall Product Program? Visit the Fall Product Program webpage, or contact the Product Program team for more information.